I promised to myself that I’ll write a blog after passing Salesforce Developer Certification. I passed Dev401 on 28th Jan 2015. These are the things I followed for the exam. This is the first document to be referred to understand particularly the exam outline. This gives details on the topics that will be covered with the weighting in percentage for each section. 3. The next thing is the podcast video. These are very old videos but the core concept is always the same. Chrish Barry is awesome! 4. Next comes ForcePrepare website. It has the tutorials as well as mock exam. 5. Next and the best one is Hari Krishnan’s Blog. This is the best blog with every minute information related to the exam. He prepared notes from premiere training. Follow this link for the notes. 7. Next comes the dumps. I followed the following websites. Glad to know that you are know a Certified Developer! Latest PDF dumps for DEV-401 are available with km.krishnamohan25@gmail.com. Those who need the dumps can contact me or ping me in gtalk directly. For SalesForce certification latest and exact exam questions contact us at completeexamcollection@gmail.com. For latest dumps of all Salesforce exams with all the updates of Winter ’16 please contact me at mikeshsfdc@gmail.com. For essential training videos to learn salesforce from scratch as well. 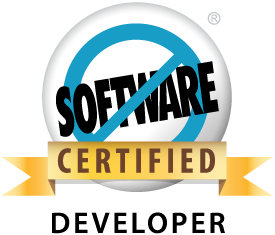 For latest dumps of all Salesforce exams with all the updates of Winter ’16 or latest release please contact me at mikeshsfdc@gmail.com. Also available Salesforce Training videos as well to learn salesforce from scratch. Nice post and a very useful one. Thanks for sharing with us.